It's been yet another record-breaking quarter for Qualcomm - probably the most successful mobile chipset manufacturer currently. For its 4th fiscal quarter, the maker of Snapdragon managed to secure revenue of $4.87 billion, which is a healthy 18% increase compared to the same period of last year. The increase of net income stands even better at 20% year-on-year, resulting in the sweet $1.27 billion. Not bad for a chip maker. At the same time, the company has also released its results for its fiscal 2012, and those are just as bright. Revenues have risen by 28% and now stand at $19.12 billion, while net income is up the spectacular 43%, which translates into $6.11 billion. If you'd like to learn more details about where exactly Qualcomm stays financially, feel free to check out the full report here. Their chipsets are too mainstream,through. Exynos is still the best! Too mainstream? Really? You just described a chipset as being too mainstream. 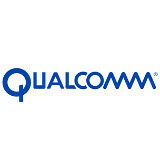 No, qualcomm newest snapdragon S4 is the best SoC right now and until Exynos 5 quad with A15 release. Then see which is better. Snapdragon S4 dual core A15 beats Exynos 5 dual core A15. Both CPU and GPU. Wait, what? Sarcasm? I don't even know.